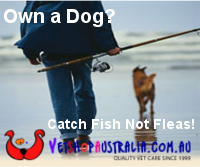 FishMax - THE Australian Online Fishing Magazine: Holy Sh*t or Bull Sh*t? In our Holy Sh*t or Bull Sh*t" series, we look at some of the wierd and wonderful fishing and boating stories that circulate the' net and dig deep behind the hype to find out the truth. Whether it's big fish photos, crazy fishing videos or tall fishing stories - our fearless reporters investigate and answer the question - "Holy Sh*t" or just plain "Bull Sh*t"? 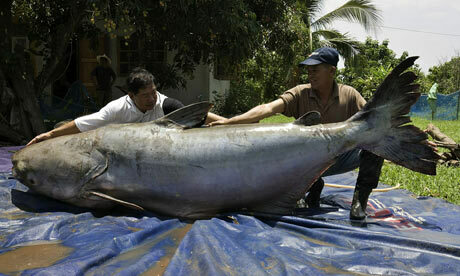 This week we investigage this picture which claims to be of a Giant Mekong Catfish sent in to us by one of our readers! The picture certainly appears to show a fish that's as long as two men's outstretched arms. But is this giant catfish photo real? Certainly there are some big catfish in the world, but there are some tell tale clues (e.g. shadows and skin colour) that suggest the photo might be faked. really "Holy Sh*t" or just plain "Bull Sh*t"! Labels: fish species, holy or bull?